PT Len Industri (Persero) - LEN or referred to as "LEN Industri" is a well-established state-owned company, headquartered in Bandung West Java and running business in industrial electronics sectors. LEN Industri has core competencies in the field of technology, electronics for industry and infrastructure. LEN Industri now has 6 business portfolios, comprise of defense electronics, renewable energy, control systems, navigation systems, telecommunication and rail transport. PT LEN Industri (Persero) is a non listed state-owned company and completely owned by the government of Indonesia. LEN Industri was first established in 1965 and originally registered as a government-owned research agency under the name of National Electronics Institute - Indonesian Institute of Science (LEN - LIPI). 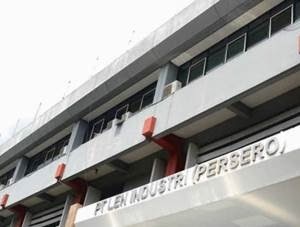 PT LEN Industri (Persero) was established as a limited liability company in 1991 under the Government Regulation No 16 of 1991, the State Gazette No 22, dated 9 March 1991. LEN Industri has 2 business units; Business Unit of Energy and Retail Product and Business Unit of ICT. LEN Industri also supported by 4 subsidiary companies, namely PT LEN Railway Systems, PT Eltran Indonesia, PT Surya Energi Indotama, and PT LEN Telekomunikasi Indonesia. In term of financial performance, LEN Industri performance achievement throughout 2016 showed satisfactory results. According to PT Len Industri (Persero) Annual Report 2016 as cited by JobsCDC.com, LEN Industri registered a 22.38% growth in total assets of Rp3.87 trillion as compared with Rp3.16 trillion in 2015. Referring to its annual report, LEN Industri booked total revenue Rp2,325.17 billion in 2016 or 3.80% growth as compared with Rp2,239.99 billion in 2015. Minimum S1 Informatics Engineering / Electrical Engineering / Computer Engineering. Honest and have a high learning spirit. Mastering programming on Linux systems, preferably Java and PHP. Mastering the concept of Computer Networking, Big Data and IOT. Preferably have experience creating enterprise applications. Have the ability to create and make presentations. Possess certification in CCNA or MTCNA is peferred. Able to speak active English both oral and written. Minimum S1 Electrical Engineering / Informatics Engineering / Physics Engineering. Have a good understanding in IT and Telecommunication. Familiar with the world of air and / or sea navigation is preferred. Minimum S1 Informatics Engineering / Electrical Engineering / Computer Engineering / Graphic Design. Experienced and competent in designing / designing UI / UX. Mastering the competence of C # programming, PHP and Database. Mastering animation software and 3D design. Have experience and competence in product design (product designer). Minimum S1 Physics Engineering or Electrical Engineering. Minimum 2 years experience in the field of power system or oil & gas. Mastering MATLAB software and software for sensor system analysis. Following programming related automation systems. Minimum S1 Civil Engineering with concentration in Water Resources Engineering. Minimum 2 years experience in the field of Minihydro Power Plant (PLTM). Ever been involved in the design of Design Engineering Design of MHP system. Mastering AutoCAD software and software for 3D design and simulation software for building structure analysis. Mastering analog & digital electronics. Able to analyze, diagnosis, and trouble shooting equipment / electronic circuit. Have a good understanding about the working principle and programming of microcontroller and PLC. Strong interest in electronic equipment / circuits. Mastering general computer applications (Windows, MS Office etc.). Creative, disciplined, diligent, persistent, thorough, and dedicated. Preferably have minimum 2 years of experience in QC field of electronic and mechanical products. Have a good understanding about the use of electronic measuring instruments and basic mechanics. Have a good understanding about schematic drawings. Have a good understanding about the basic components of electronics. Mastering electronic application software (eg: protel, altium, etc.). Male, with the maximum age of 28 years old. Minimum S1 Informatics Engineering / Information Systems / Computer Science with minimum GPA of 3.00. Have a good interpersonal skills and able to work in team (good team player). Have a high curiosity about the latest technology and software development methods. Able to learn quickly and keep updating knowledge and expertise independently. Skilled in problem solving, creative, analytical, logical and meticulous and diligent, unyielding, able to work under pressure and multi tasking. Able to speak English both oral and written. Have a good understanding about the application development methodology. Proficient in business process modeling, data modeling, application design, application testing, and system documentation. Have a good understanding in depth Object Oriented Analysis and Design. Proficient using UML (Unified Modeling Language). Able to identify and evaluate the business processes and procedures that exist within the company and its problems and understand the needs of users and translate them into system design and application. Have a good understanding about the business process of accounting and corporate finance. Have a good understanding about the concept and technical testing of the app. Have a good understanding about the basics of networking, security, and Linux. Preferably male, with the maximum age of 26 years old. Minimum S1 Informatics Engineering / Information Systems / Computer Science with the concentration of Software Engineering with minimum GPA of 3.00. Able to work in team (good team player). Have a high curiosity about the latest software development technology. Skilled in problem solving, creative, analytical, logical and meticulous and diligent, never give up and able to work under pressure. Able to speak English both oral and written.Have experience of mobile application development and understanding of mobile software design concept. Have a good understanding about the concept of Object Oriented Programming. Mastering Java programming language for Android and C #. Have good expertise in using mobile hybrid framework such as: Ionic, PhoneGap, Cordova, Xamarin, etc. Mastering development tools like Android Studio, Visual Studio, npm, etc. Have a good sense of aesthetic mobile interface (UI design). iOS SDK / Objective-C / Swift. Master the concept of RESTful API. Have experience integration with third party API. Have the ability to image editing. Have mobile applications a portfolios. Mastering engineering drawings using AutoCAD or other applications. Able to read drawing diagrams or electrical circuits. Proficient in making and doing presentations. Minimum S1 in Industrial Engineering. Proficient and understand in making and reading Curve S.
Strong analytical skills in project reporting. Minimal S1 Electrical Control (Flow Weak) / Informatics Engineering. Preferably have minimum 2 years of experience in AM field or similar. Honest and have strong militancy at work. Have a good understanding about the logarithm of programming. Proficient in making an interesting presentation. Good personality and attractive appearance. Preferably have minimum 2 years of experience in the field of Sales Engineer. Minimal S1 Electrical Engineering, Physics Engineering, Informatics Engineering, Industrial Engineering, Telecommunication Engineering. Preferably have minimum 2 years of experience in the field of AM. Minimum S1 in Accounting Economics. Have expertise in analysis of company's financial statements (project and manufacture based). Minimum 2 years experience in budgeting, monitoring and evaluation of consolidated financial statements, and validation of administrative documents. Proficient and understand in making and reading S Curve. Able to work in team and coordinate with project manager. Preferably have experience in the field of General Affairs. Able to prepare Budget Plan & Cost (RAB) in the framework of making Terms of Reference (KAK) / Work Plan & Conditions (RKS) for the benefit of procurement of goods / services. Able to develop the system and master the rules and management of asset management in accordance with applicable rules. D3 all the majors / Electrical fields with minimum 5 years of experience in the field of HSE and electrical field. Possess certification in AK3 Construction / AK3 Electrical is preferred. Have experience in managing, monitoring, and evaluating the implementation of HSE program in project. Able to make HSE Plan (HSE Plan) in project. Able to make hazard identification and HSE Aspects (HIRA / IADL), JSA. Able to identify the Legal fulfillment program in the HSE field. Able to grow employee awareness of HSE. Able to coordinate operational control of hazards and HSE aspects in the project environment. Have experience in coordinating with relevant agencies and agencies. Have good investigative and communicative ability, especially to interested parties to HSE. Able to coordinate the implementation of HSE / K3L patrols and audits in the project. Able to create reports of HSE program implementation in the project environment. Minimum 2 years of experience in Accounting. Mastering the concept of Cost Accounting & Cost Accounting Standard (SAK). Able to make financial reports. Minimum 2 years experience in production planning and control. Mastering Microsoft Project & general application computer applications (Windows, MS Office etc.). Preferably master the concept of budgeting. Minimum S1 in Electrical Engineering / Physics Engineering. Preferably have experience in the field of procurement of goods and services. Mastering the concept of procurement of goods / services / construction.\Have expertise in the field of price analysis of goods / services and contracts. Able to design procurement contracts of goods / services / construction. Have a good understanding of technical work. Previous experience in sourcing / search vendor procurement of goods / services / construction, both domestic and international. Have reliable negotiation and communication skills. Minimum S1 Physics / Electrical Engineering / Mathematics / Statistics / Management / Business / Marketing / Business Law. Mastering the Concept of Business Intelligence, Business Analyst, and Business Legal. Business Process & Mapping Analysis. Preferably have minimum 2 years of experience in Business Development in Railway / ICT / Energy / Defense. Have ability in preparing proposal for business development. Master the concept of risk management. Mastering SPSS, Microsoft Project, Microsoft Power Point, Excel, Word and Visio. Indonesian citizens (WNI), have a good health (physical and spiritual). Have creativity, high integrity personally. Independent and have a spirit of hard work and never give up. Have the ability to speak English both orally and in writing. Strong communication skill (written and verbal), and computer literate (Windows, MS Office). Minimum Cumulative Grade Average (GPA) of 3.00. Not have a husband / wife who work as an employee or prospective employee of PT Len Industri (Persero). Maximum age of 35 years old (except MAD and SA positions with maximum age of 28 years old). JobsCDC.com now available on android device. Download now on Google Play here. Please be aware of recruitment fraud. The entire stage of this selection process is free of charge. PT Len Industri (Persero) - D3, S1 Fresh Graduate, Experienced LEN January 2018 will never ask for fees or upfront payments for any purposes during the recruitment process such as transportation and accommodation.